Los Angeles skyline, shrouded in haze. SACRAMENTO, Calif. (CN) – Fighting for the linchpin of its air quality laws, California introduced a plan Tuesday to require automakers to continue making highly efficient cars even if President Donald Trump slashes fuel economy standards. In the latest showdown between the Golden State and the Trump administration over states’ rights, California regulators want to protect existing regulations and force automakers who sell cars in California after 2020 to comply with the state laws and not potentially watered-down federal standards. California regulators are pushing back on the U.S. Environmental Protection Agency’s announcement last week to rollback Obama-era rules and create a “50-state” emission standard. State officials accused the federal government of trampling California’s longstanding right to enforce its own clean air laws and promised a fight. California was the first state to implement fuel efficiency standards, and for over 40 years the federal government has allowed the state to set its own mileage and efficiency requirements under the Clean Air Act. A dozen states and the District of Columbia have since implemented California’s stringent greenhouse gas emissions standards. But the EPA’s Aug. 2 announcement threw a wrench into the states’ air pollution plans. The administration wants to freeze standards implemented under President Barack Obama to require new cars and pickup trucks to average 36 miles per gallon, instead leaving in place 2020 levels which require about 30 miles per gallon. Acting EPA Administrator Andrew Wheeler says the 2025 mandate is unrealistic and that weakening the standards will allow automakers to sell cars more cheaply. Current federal regulations are nearly identical to California’s emissions laws. “More realistic standards can save lives while continuing to improve the environment,” Wheeler said of the EPA’s plan. Wheeler’s comments predictably riled California Gov. Jerry Brown, who has championed clean energy and air laws during his last seven years in office. “Under his reckless scheme, motorists will pay more at the pump, get worse gas mileage and breathe dirtier air. California will fight this stupidity in every conceivable way possible,” Brown responded last week. Brown, 80, set an ambitious goal to cut greenhouse gas emissions in California by 40 percent to 1990 levels by the year 2020. 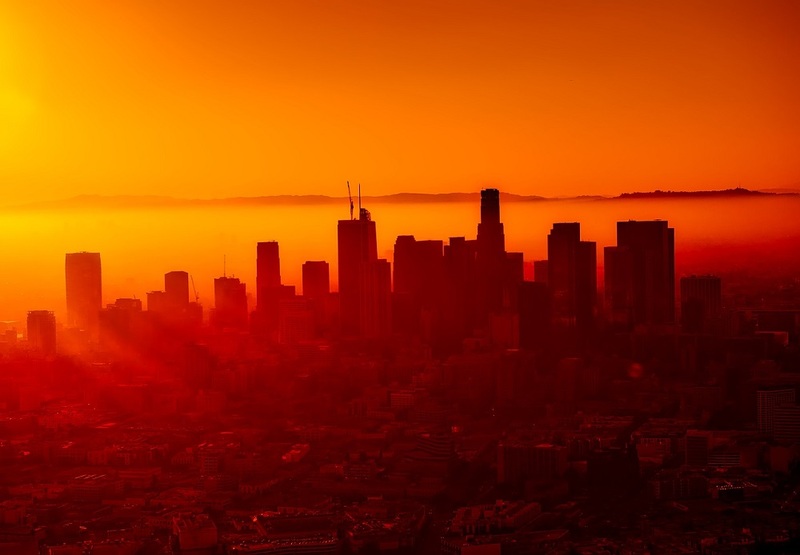 Last month, state regulators announced the strict climate change laws are already working: California’s greenhouse gas pollution in 2016 was below 1990 totals for the first time, four years ahead of schedule. Meanwhile, the auto industry is waiting patiently on the sidelines as Trump and the nation’s most populous state battle over fuel efficiency. Automakers say they need time to conform to any changes in order to produce new cars on time and want the parties to come to a resolution. “We urge California and the federal government to find a common-sense solution that sets continued increases in vehicle efficiency standards while also meeting the needs of America’s drivers,” the Auto Alliance and Global Automakers said in a joint statement. While the federal government says it’s simply cutting environmental red tape in hopes of getting more new, cheaper and efficient cars on the road, California predicts environmental and economic ruin. “This threat of weakening the standards of the unified national program, left unaddressed, could substantially slow progress towards the emission reductions needed to address the serious threat climate change poses to California, the country and the world, waste billions of gallons of gasoline and cost consumer money on fuel,” the air resource board’s report states. The report adds that if California weren’t allowed to set its own standards and incorporate the EPA’s, it would be like adding the emissions of 2.8 million cars per year. Also, California still has the nation’s worst overall air quality, with over 10 million people living in areas classified by the EPA as having severely polluted air. Regulators are taking public comment on the proposed changes through Sept. 24 and are scheduled to vote the following week. Air resources board executive officer Richard Corey says the state is open to negotiating a compromise with the Trump administration. “We continue to be open to discuss well-documented technical analysis that provides real public health, environmental, and economic benefits including options that consider additional flexibilities,” Corey added.